And so the end of a decade is behind us. Yes, the Noughties, an era that brought us once inconceivable horrors, crushing banalities and awesome technological advances in almost equal measure, is no more. Welcome, the Teens. Or the Tens. Or the Tenties. Or the Twenty-Tens. What you will. Welcome, too, we can only suppose, yet more unknown unknowns. For writers from Wales the Noughties has represented perhaps the most successful and accomplished period both within and without the border as has been seen for some considerable time. Young Turks. Old Hands. An energised critical culture, too. A renewed sense of credibility, optimism and possibility prevails in Welsh literature in English. More question marks than full stops on offer now, however. The Welsh literary renaissance occurred in parallel with the rise of the celebrity memoir and the misery lit movement across the UK. So that the fact that it happened at all is something of a triumph of love, for which our brilliant Welsh publishers can take considerable credit. Like other indies, they were investing against the tide. For much of the latter half of the decade, in particular, it seemed that book publishing and bookselling was predominantly serving the interests of those who don't actually like reading books at all. Initially, this might have seemed a smart move in view of the then public appetite for the apparently unstoppable triumvirate of Katona, Price and Goody. But the world has moved on. This, too, has passed. 2010 marks the end of Big Brother. And what once seemed like knowing neo-feminista postmodernism now looks like so much vulgarity. Thinking may well be back in fashion. And in the past year or so, it's become increasingly clear that both commercial book publishing and bookselling. led up the garden path for quick returns and ever more oppressed, rather than liberated, by the demise of the Net Book Agreement, have lost their way. The demise of Borders in November last year came as no surprise to those who remember its loftier beginnings. Since its arrival in the UK back in 1998 it had gone through significant changes - some voluntary, some imposed by circumstance - to the detriment of the brand. At first, Borders appeared to celebrate the values typically associated with the very best independent booksellers. A commercial outfit but with intellectual credibility. And on a large scale - such huge variety under one roof. It offered quirky, hard-to-find and international titles, poetry books, literary criticism. In return, it won a devoted following. But then the internet became quick, affordable, fast. ?The online marketplace grew, and grew competitive. In a series of catastrophic misfires, the chain sought to fight back by diversifying - but with little success. At endgame, Borders stocked a staggering amount of unrelated material in its remaining stores, from coasters to pottery (yes, pottery, not poetry) kits. 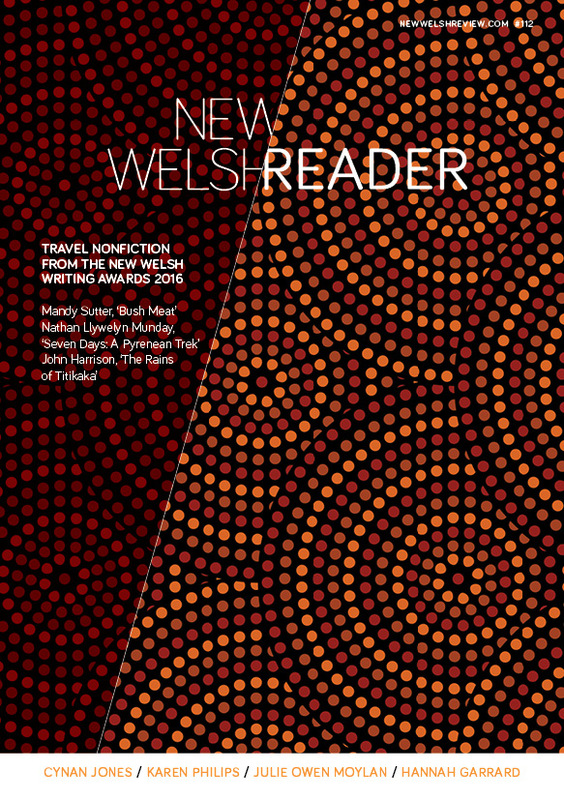 But as a major stockist of periodicals that fall outside the commercial mainstream, to literary magazines such as New Welsh Review Borders offered an outlet lost to us now. In basic terms, we will miss the opportunity to make further sales of course. But it is much more than that. As the virtual world turns, and for all the opportunities it offers us, chance encounters seem sadly ever more unlikely. Greater efficiency for those who already think they know what they want (and need), but so much less romance and discovery for those of us who might not be so sure. Whatever the next decade brings, it seems certain that the online culture will continue to shape the literary mainstream in ways which are both clear (a literary community increasingly found online through blogging and social networking, the implications of digitisation and mass dissemination on the world wide web) and less immediately obvious (the effects of online book retailing on publishers' strategies). A world, then, which offers us so much more than we ever thought possible ten years ago, and yet, paradoxically, will probably challenge our taste and beliefs much less than some seem to think.